Beauty Garden Organic Soothing Night Cream is a genuine night beautifying skincare which deeply moisturizes your skin when you sleep ! 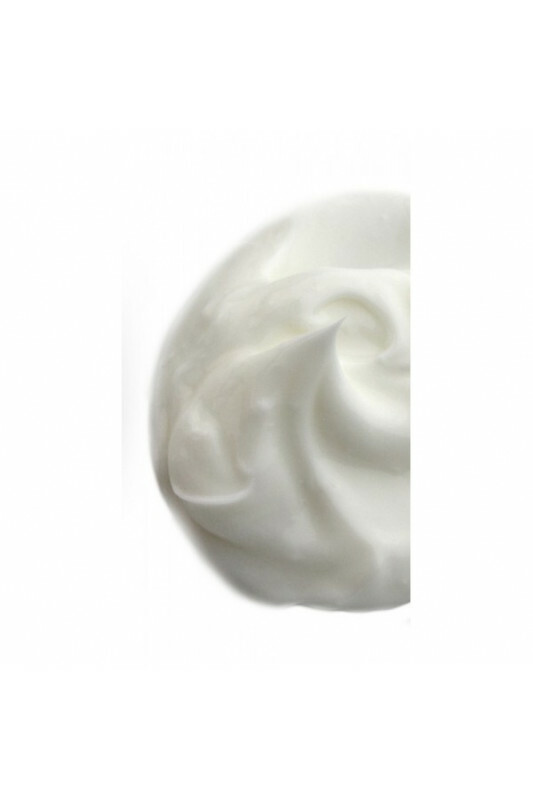 Its rich and melting texture produces a sensation of absolute comfort. Combined with nourishing and soothing properties thanks to camomile, lemon balm and lime tree infusion. 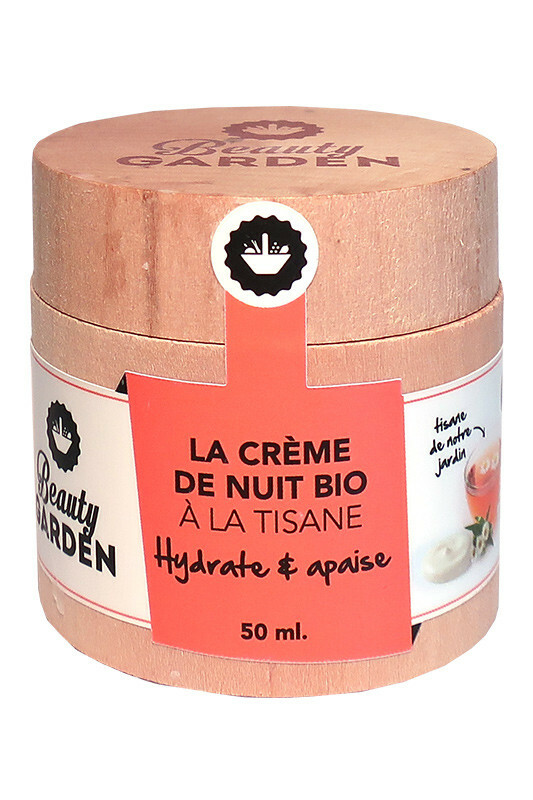 With Beauty Garden Herbal Tea Night Cream, your face feels radiant ! 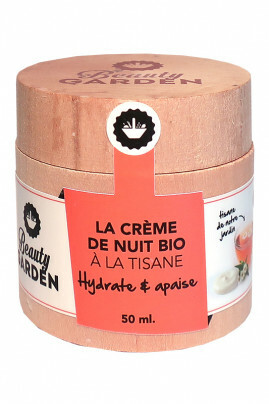 Beauty Garden Organic Herbal Tea Night Cream for Face is a true invitation to relax before sleeping ! 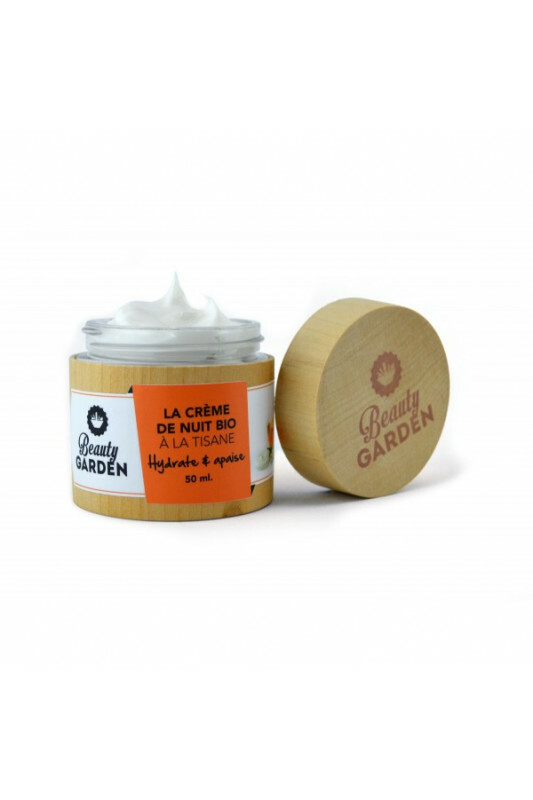 Apply Beauty Garden Organic Night Cream at night on cleansed face and neck. Herbal Tea fragrance is natural !